TotalSim’s extensive expertise in motorsports will increase your vehicle’s efficiency and reduce lap time, bettering your chances of winning on the track. With unmatched experienced in motorsports, TotalSim has designed and developed race cars in nearly all racing categories. Our applied expertise spans from Formula 1 cars to Le Mans prototypes. We have led numerous development programs from conceptual design to full production road and race cars. TotalSim has consistently delivered performance gains seen computationally to the track. 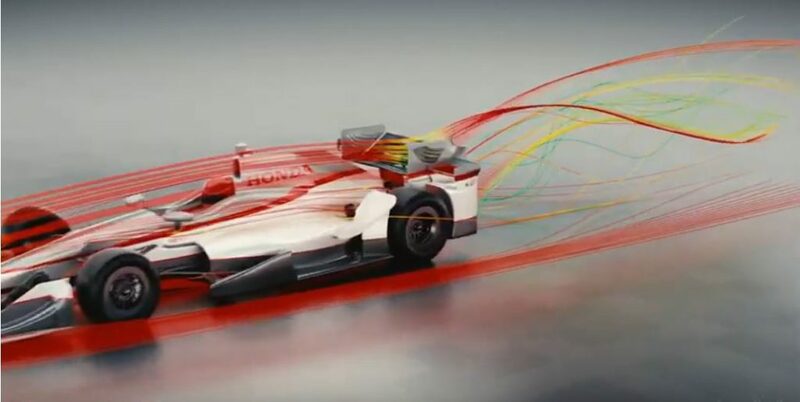 We have developed a highly efficient and refined CFD process that allows for rapid turnaround of results.There are many aspects that are important to the performance of a vehicle including external aerodynamics, internal flow, and thermal management. Our CFD tools help you understand and visualize your vehicle’s performance that may have only been previously available in a wind tunnel or otherwise was too cost-prohibitive to physically test and iterate. Several of our clients now go directly from CFD to track testing, removing the need for expensive wind tunnel testing. Lower your R&D spend on prototypes with virtual prototypes, expand your capabilities to assess downforce, drag and safety without the need to conduct as many expensive physical tests, and enhance efficiencies by automating workflows. No matter your specific goal, TotalSim thrives on solving the most complex aerodynamic challenges.